We remind all members and guests that it is their responsibility to repair their pitch marks. 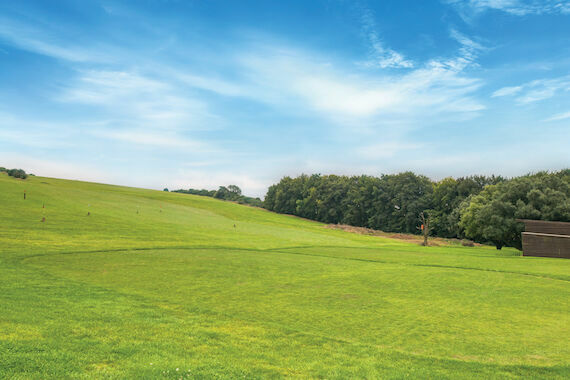 Members and visitors benefit from an extensive practice range, which includes covered bays and an automatic ball dispenser. There are dedicated areas for short game practice allowing you to sharpen your chipping, putting and bunker play. The driving range caters for even the biggest of hitters. There are markers laid out at 100, 150 & 200 yard intervals to help on distance control with your irons. There are also a series of flags set up at varying distances to aid your pitching and all round wedge play. There are three warm up nets adjacent to the teeing area at the 1st Hole. To the front of the Clubhouse, close to the terrace and Pro-Shop, there is a large practice putting green. There is parking for more than 100 cars and an overflow area adjacent to the Practice Ground. An Academy 'feature' is in the early stages of being modelled. It is also possible to begin your round at the 11th hole where parking is also available.